Nvidia has experienced weaker sales of its RTX-generation of Turing graphics cards than it expected with its original cost estimations, with CEO Jensen Huang describing it as a "punch in the gut" in a chat with investors. He also revealed that Nvidia's revenue was expected to be $2.2 billion in the fourth quarter of the year, which while hardly poor, is half a billion dollars less than was originally estimated. This downturn has been blamed more on cryptocurrency values continuing to fall than anything else, but you have to imagine the inflated pricing, underwhelming performance enhancements, and big drive towards ray tracing and DLSS that haven't really materialized in more than a couple of games, played a part in weaker consumer interest in Turing too. The end result is an Nvidia stock price that has fallen a further 14 percent in the past 24 hours, and an overall outlook for the company which is far weaker than it was just a few days ago. Nvidia isn't about to shut up shop or change much of anything because of this news, but it does see it on weaker footing than its been at any point in the past few years. "These products deliver a revolutionary leap in performance and innovation with real-time ray tracing and AI, but some customers may have delayed their purchase while waiting for lower price points and further demonstrations of RTX technology in actual games," Nvidia said in a surprisingly lucid comment, via PCGamer. That's something the company is looking to address in the near future, though. 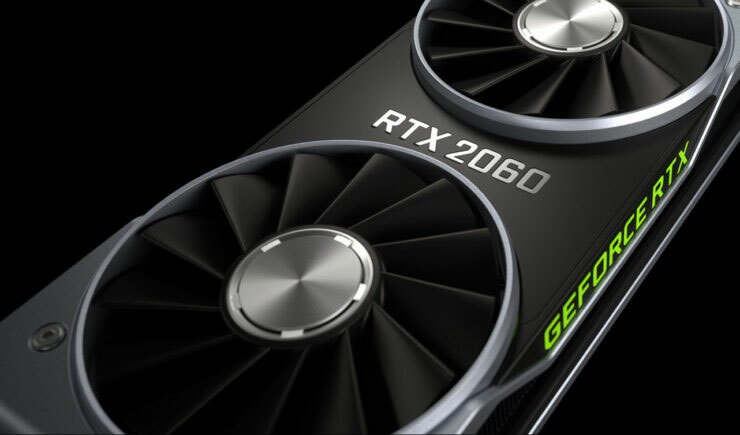 It recently debuted the $350 RTX 2060 and there are rumors that it will have a GTX 1660 Ti and 1660 available within the next couple of months for significantly less. Where is my real time ray tracing? The problem is the jumping to the next one, which is good for tech development but not good for the consumer's confusion. I haven't upgraded for donkeys i know its crazy, all because of the mining and now mining is dying and out of the way, its the constant, we are making this, but we are selling this causing a delema, so you get, lets wait again syndrome. SCREW you NVIDIA selling your fans overpriced video cards for years.... you hoped all the dummies who mine for pennies would buy your dumb expensive cards but nope not this year. Mining isn't worth it anymore especially with your overpriced over hyped cards. Amd card's are priced just right. Priced for the person who works at Mcdonalds. Amd cares and wishes all it's fans can get one of their cards. Nvidia only cares that the rich scum get their cards. Amd cards are selling like hotcakes at a breakfast lunch-in. Nvidia's new cards are still sitting on the shelves with their OUTRAGEOUS new prices. 7nm in the corner. Who in the right mind would buy this thing? 7nm in the corner. Who in the right mind would buy this thing? Do some research, what tech its packing or what next looming next. Seen 7nm timeline, 12nm Turing became BS on my eyes. Doesn't make any sense when superior fab process month away. people are starting to REBEL against Nvidia. People don't care about your shiny new RAYTRACING. Heck most people don't care about VR either. I don't have a single friend that cares about VR when I talk about it nor does any of them including me care about RAY TRACING in games. Take your over priced ray tracing Video cards and your 2 games that support it away. Shove them up your Overpriced booty. Start making 1080's cheaper we don't care about your endless new GIMMICKY video cards that's sole aim is to drain us dry of our lunch monies. No people aren't starting to rebel, that's just wishful thinking on your part. RTX cards are too expensive and that's it, if nvidia gets the price right they'll start selling. 100% its the cost toooooo high stuf paying over 1000 nzd on a single gpu max i payed was 900nzd for my evga gtx980 and it still runs mint even on my 4k screen maybe not smashing fps out over 60 but who in the real world can say pc gaming is worth 2500 nzd just to have 4k ultra settings when a ps4 at 1080p can give you almost the same game. sorry nividia you gone and priced yourself out of your own market yourself. I hope the people who actually bought the rtx cards return them, no one should be supporting nvidia, Overpriced Overrated lying deceiving company. In end of 2013 when GTX780Ti was launched i payed $649 for Nvidia's flagship at the time. Now here in my Country they charge $1299 for their's current flagship RTX2080Ti released in 2018. That's 100% price increase in 5 years!!! And they ask themselves why sales are so weak??? Are you kidding me??? Well then, Its a good job you ain't paying for a rtx titan then, That thing costs £2,400 to buy lol. There's an element of diminishing returns in PC gaming, why spend £500 to make games look a little nicer? Add the fact that console gaming holds graphical fidelity back; PC versions of games are routinely gimped so as not to outshine the consoles. The only reason I would upgrade a the moment is if could afford a 4K monitor x 3 setup. or VR Also, because AMD are poor competition, nVidia have been over-charging for nearly a decade. Nope, The radeon vii only beats the 1080ti and the 2080 on a few things in a benchmark, Not on all things in that benchmark, The 2080ti is the best and with the rtx titan out, Amd dont come close and radeon drivers are ******* terrible, Plus their cards are warm and noisy too, Everyone knows amd cards are terrible for games, Best thing they got is the threadripper 2 and better price cards, But even amd are greedy, Threadripper 2 costs £2,400 to buy lol. And you say amd does same bit of hardware for cheaper ? Can amd do physx ? nope, raytracing ? nope, dlss (yet) ? nope and people want more than ****** 60fps in games, Most people are still on 1080p rather than 4k and are getting 144fps plus. you dirty scum ball!!!!! you were sent here from NVIDIA Headquarters weren't you? All those features you mention are gimmicks---> Raytraycing PhysX etc. Barely any games use them so who cares. Amd cares about the little people so they create features we gamers care about at a decent price point. NVIDIA only cares about the wealthy dumb and Rich who are willing to buy Radical useless features that barely anyone cares. Nvidia will sell you unwanted features just so they can keep their prices high while they get richer and we gamers get poorer. I'll stick with AMD they only put features in their cards that we gamers really want. Nvidia will think up anything to put in their cards just so they can sell us cards at the $1k mark. Threadripper is AMD's server cpu, it's meant for companies not individuals. It's the same as intel's xeon line which is even more expensive. So yea, amd does the same hardware for less. Serves them right, they've been getting away with selling ever more expensive cards for years. Eventually people's pockets will hit their limits.